Parisian OWSLA prodigy Alesia has just released a genre-defying assortment of remarkable tracks to comprise their Andrea EP. The 5-track EP is a dark, techno-infused onslaught of underground dance club vibes that does not let up. The experimental intro of "Dies Irae" is just the right amount of gothic ambience to set you up for the electro-industrial sounds that will offer any listener a huge breath of fresh air. "Andrea," the title-track, offers a driving cavernous groove that is carried by a heavy-hitting bass and repeated vocal samples. Just as effectively transporting you to an eerie rave-cave is "Jezabel." Led with high-pitched vocal samples and melodic keys, this record is taken to another level once it drops in an assault of piercing dark-techno synths that are impossible to not move to. "Otho" and the aptly-named "Industriae" offer their own industrial and garage dance vibes that will find themselves being repeatedly played in your music library. If this producer duo was not already on your radar, Alesia's Andrea EP is going to make you a fan just groveling for more from this refreshing talent. 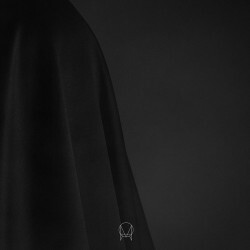 The EP is the latest release from the forward-thinking OWSLA label and is available for purchase from iTunes. Have a listen to these infectious tracks below, and be sure to support Alesia by purchasing it through the link below.